Quality Solar is proud to announce it partnership with Smart Flower North America as its Michigan sales partner! 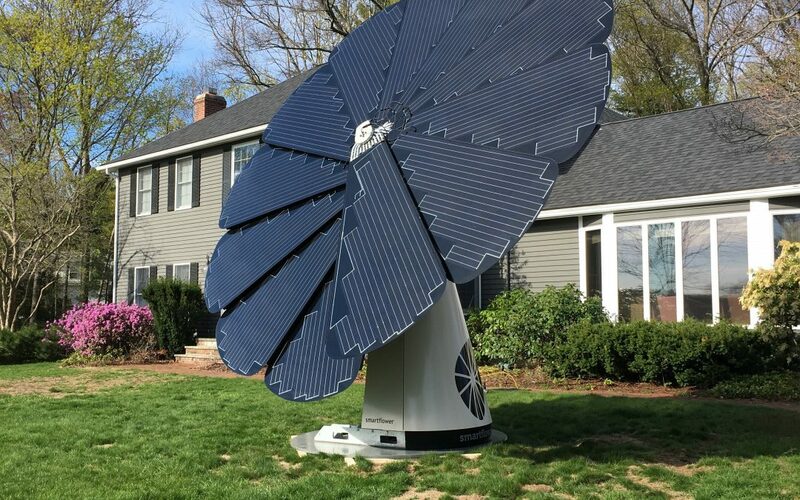 The Smart Flower is the most advanced and aesthetically pleasing solar system ever designed. This elegant solar system is 40% more efficient in production than traditional solar panel mounting structures. It features 12 petals with 522 six-inch mono-crystalline photovoltaic (pv) cells. The petals are self-cleaning, as they have brushes on their backs and when it folds up or blooms the brushes clean the pv cells. This provides more efficient electricity production while reducing maintenance, since dirt build up must either be removed or it will cause a loss of electricity production. The Smart Flower needs a 16’ squared area to operate in and is bolted to 12” of concrete. It has been tested in harsh climates and has safety features for high wind. This 1500 pound Smart Flower can easily be unbolted and moved if that was ever needed. Quality Solar is now accepting requests for appointments. Let the Flower produce your power!